When you buy any Sage product through Learn Manchester, you not only get the leading brand software in this field, but you also get a discounted price! If you order training and software together, we can often reduce these software prices even further. 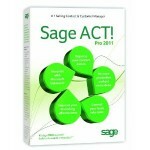 Learn Manchester can also offer upgrades on all Sage software for all versions. Please speak to one of our Sage advisors before ordering any Sage software to make sure it is the correct software for your business. Learn Manchester are specialists in all aspects of Sage Accounting software and can save your business time and money by only recommending software that will do the job you need to keep updated with your finances and keep your accountants bill down! Order from our sales team on 0161 818 2139 for the very latest deals! 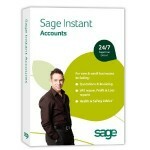 Sage Instant Accounts is designed to make managing your money, including VAT, end of year accounts and invoicing, as quick and easy as possible so you have the information you need to manage your business at your fingertips. 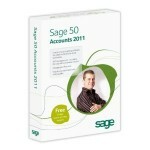 Sage Line 50 Accountant is packed with features to help save you time managing your accounts. From cash flow to VAT returns and year-end accounts, you’ll be more in control of your finances and free-up time for other areas of your business. 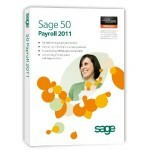 Sage 50 Payroll is ideal for small to growing businesses that need to manage the payroll for 1 to 50 employees. It helps pay people quickly and accurately, automatically working out payments and deductions including tax, National Insurance, pensions and sick pay. All the tools you need to build and maintain successful customer relationships. A simple but powerful contact management system, ACT! by Sage 2010 centralises your contact information, organises your diary, tracks sales leads and can organise marketing campaigns. Learn Manchester has over 25 years experience in working with small businesses! If you need help with any aspect of company finances, from setting up accounts to dealing with HMRC, then get in touch and see what we can do to improve your business. I can't reccomend Learn Manchester enough! The team were so supportive, explained everything in an easy to understand format and have revolutionised the way we use IT Systems in our office. Ross Grant - Online Investment Solutions LTD.
Sage Training Manchester © 2019. All Rights Reserved.